Does that say Sunapee Lake? No it doesn't. I have some shocking news. You may want to sit down before you read it. The official name of Lake Sunapee is not Lake Sunapee. According to U.S. Geological Survey nomenclature, it’s Sunapee Lake. Wait a minute: We do say “I like to swim in Newfound Lake.” That’s weird. Come to think of it, we always say Squam Lake, even though we always say Lake Winnipesaukee. So, should “lake” go before or after the name? And what about other geographic terms? Why do we have Mount Lafayette (descriptor first) facing Cannon Mountain (descriptor last)? And how come nobody ever says “the River Merrimack” or “the Ocean Atlantic” unless they’re writing bad poetry? This isn’t just shocking, it’s confusing! What is right and what is wrong? “I would never use the term ‘wrong’. 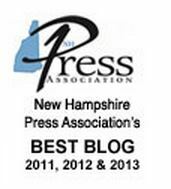 I just find it interesting,” said Ken Gallager, a principal planner with the New Hampshire Office of Strategic Initiatives. I scurried to Gallager with my question because he has long been New Hampshire’s guru for what-things-are-named. More formally, he is the coordinator for the New Hampshire Geographic Names Authority, the state body that the U.S. Geological Survey Board on Geographic Names consults when making a decision about the official name of something in our borders. Gallager listened to my befuddlement and then gave me the rule, which is: There’s no rule. “It’s really based more on common usage. Whatever people called it when they were naming things, that’s the name,” he said. This also applies, he said, to a much more common question about geographic names: When does a hill become a mountain, a pond become a lake, or a brook become a river? “Yeah, I get that question. It usually happens outside of work, when people find out what I do,” Gallager said. “It’s based on context,” he said. He pointed to Smith Mountain in Hampstead, which is less than 500 feet tall, and Stub Hill in Pittsburg, which is 3,627 feet tall. Even the U.S. Geological Survey has thrown up its hands, as shown in a recent blog posting about the Geographic Names Information System, which is the federal government’s repository for names of places. It sure isn’t: Locally, for example, Turkey Pond in Concord and Lake Horace in Weare are virtually the same size, about 330 acres. Fair enough. So, where did that ridiculous Sunapee Lake name come from? Probably from some federal employee who asked locals then and wrote it down at some point when official USGS maps were being put together. One thing’s for sure: That map maker didn’t ask anybody at the Lake Sunapee Protective Association. “This is our 120th year – we started in 1898 – and even at the first meeting of the association, they referred to it as Lake Sunapee,” said Jane Fichter, the group’s executive director. 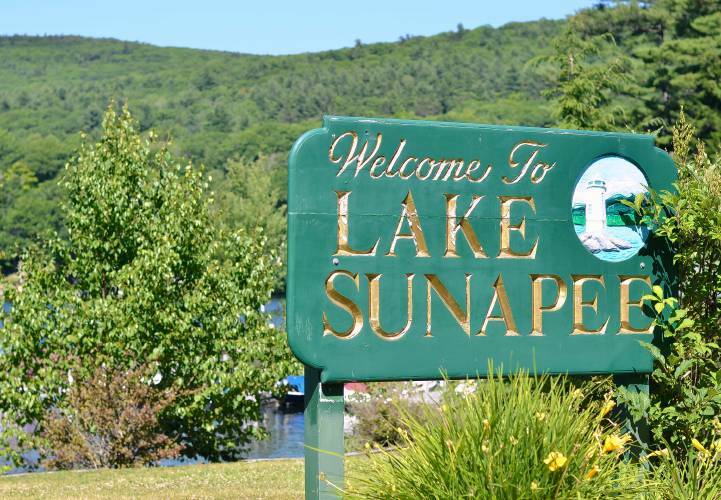 And what would be her reaction if somebody insisted that the name is actually Sunapee Lake? “I think we’d ignore it,” she said. I’m in a town where a straight road abruptly switches from Old Wilton Road to Wilton Road, and nobody in town remembers which is which. Even so, town meeting rejected the fire department’s request to make up our minds and call the whole thing one name or the other … because history. Or something.